The discovery of skeletal remains under a public car park in Leicester a couple of years ago re-awakened interest in King Richard III, the man forever lodged in the public imagination as a murderous hunchback with withered arm. Archaeological and forensic evidence of the skeleton revealed a spinal deformity but established unquestionably that both the withered arm and the hunchback were myths. What about that other accusation that Richard was a murderer? Did he actually have his two young nephews, the real heirs to the throne, killed in the Tower of London in order to clear the way for his own ascent to the throne? Or is that an invention of Tudor-era historians keen to separate the new dynasty from the past? Richard’s role and culpability has long been a subject of fascination but most of the debate took place in the narrow confines of historical academia. In 1951 however, the question became popularised with the publication of The Daughter of Time by the Scottish novelist Josephine Tey. It’s rather an odd book; a mash-up of historical novel and detective story; in which a modern-day detective ‘investigates’ the crimes of which Richard has stood accused for centuries. All the investigation takes place from the confines of a hospital bed where Inspector Alan Grant (the central figure in Tey’s crime fiction series) lies flat on his back having broken his leg by falling through a trap door. He’s desperately bored. He knows every crack on the ceiling and has zero interest in the pile of books brought by well-meaning visitors. He perks up when his actress friend brings him a collection of portraits attached to historical controversies. After years in the police force Grant thinks he can tell a villain from an innocent just by their face so when his eye falls on a portrait of Richard III, his curiosity is aroused. What he sees is not the face of a murderer but a man “used to great responsibility, and responsible in his authority. Someone too conscientious. A worrier; perhaps a perfectionist.” The more Grant reads about Richard, the more convinced he becomes that there is a mystery waiting to be uncovered. He quizzes hospital staff about their knowledge of the Princes in the Tower and reads whatever he can get his hands on – fortunately for him, one of his nurses has kept her old school history book. All good detectives in fiction need a side kick to do the running around on their behalf, digging out the info from which the great brain will make his deductions. In The Daughter of Time the side kick role is allocated to Brent Carradine, a young American researcher at the British Museum. Together the pair read chronicles from Richard’s time and the Tudor era; delve into assessments by more contemporary historians and track down original documents. Grant dismisses the assessments of chroniclers like Thomas More (whose History of Richard III is the primary source for the conventional story of the murders) as “back-stair gossip and servants’ spying.” More after all was just five years old when Richard seized the throne so couldn’t possibly have written his account based on personal knowledge. Nor does Grant have much faith in latter-day historians. “They see history like a peep show, with two-dimensional figures against a distant background” he tells his actress friend. Instead Grant relies on his ability to judge a man’s character by the cut of his jib and to spot the gaps in evidentiary documents – skills honed from his years at Scotland Yard. On the eve of Grant’s departure for home, he summarises the case for Richard’s defence and the case for seeing a wholly different culprit – his successor on the English throne, King Henry VII. This is a novel that was immediately popular upon its publication. It took a subject seen by many as ‘dry’ and made it into a quest for justice and the truth. It caused many readers to burrow in their attics for their dusty school history books and re-acquaint themselves with the fifteenth-century equivalent of Who’s Who. A radio program based on the book followed in 1952 and then a spate of novels, plays, and biographies sympathetic to Richard throughout the 1950s and 1960s. Do you know about Morton? He was a lawyer turned churchman, and the greatest pluralist on record. He chose the Lancastrian side and stayed with it until it was made clear that Edward IV was home and dried. Then he made his peace with the York side and Edward made him Bishop of Ely. And vicar of God knows how many parishes besides. but after Richard’s accession he backed first the Woodvilles and then Henry Tudor and ended up with a cardinal’s hat…. I’ll tell you something even odder. 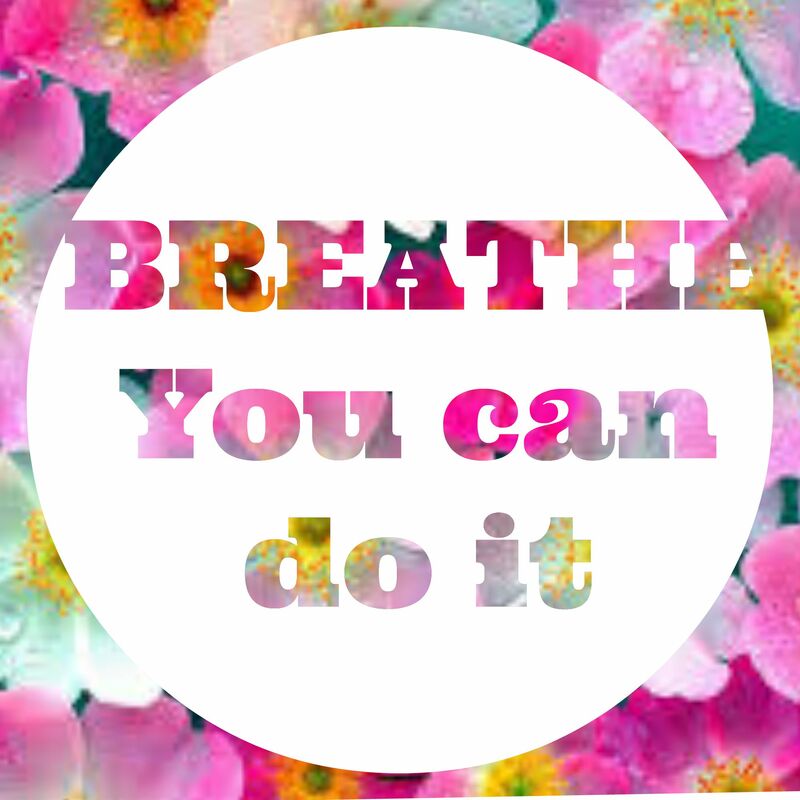 You know we thought that XYZ……… Well, it turns out that ……. Yes you may well look startled. Not exactly riveting dialogue is it? I know a certain amount of exposition is required for the benefit of readers who are not familiar with the period or the key figures but Tey goes over-board on this. I didn’t feel I needed to have everything spelled out and it deadened what would otherwise be some fascinating insights into the machinations of the times. The shame is that it marred an otherwise fascinating book. My knowledge of the period isn’t deep enough to judge for myself whether it’s Henry we should consider to be the instigator of what happened more than 500 years ago. But Tey does make a persuasive case for re-evaluating Richard’s reputation. She’s also re-awakened my interest in the period – tonight I’ll be watching the BBC version of the Shakespeare’s play (the final episode in the Hollow Crown series). Then tomorrow I plan to head for the library hoping they might have a history of Richard’s reign. The Book: The Daughter of Time was published in 1951, the year before the death of its author. In 1990 it was voted number one in The Top 100 Crime Novels of All Time list compiled by the British Crime Writers’ Association. The Author: Jospehine Tey was one of the pen-names of Elizabeth MacKintosh, a teacher from Inverness, Scotland. She started publishing novels in 1929 under the name Gordon Daviot, using that pseudonym also for some historical plays. A Daughter of Time was her final novel. She left her copyrights to the National Trust. Why I read this: I tried reading another of Tey’s novels – Brat Farrar – but found it rather dull so gave up. I found a copy of The Daughter of Time in a second hand shop at very low cost and since I’m a sucker for the Wars of the Roses period in history, my curiousity was awakened. The 1951 Club, the latest in a series of events hosted by Simon of Stuck in a Book and Karen of Kaggsy’s Bookish Ramblings, gave me the impetus to take it out of the bookcase. C.J Sansom took a gamble with his political thriller Dominion in which he imagines a world where, having failed to defeat the Nazi regime, Great Britain becomes one of Germany’s subject territories. The idea wasn’t entirely new – Len Deighton based his 1978 novel SS-GB (shortly to become a BBC drama series) on a similar premise so Sansom needed to come up with an additional sparkle. He did so with a further gamble – using some historical figures as members of the new puppet regime and thus effectively positioning people like Lord Beaverbrook, Marie Stopes and Oswald Mosely as collaborators. Although he was never at risk of defamation claims needless to say his approach proved controversial when the novel was published in 2012 and readers saw how Stopes had been portrayed as a contributor to the Ministry of Health’s programme for eugenic sterilisation and the newspaper tycoon Beaverbrook as a meglomaniac Prime Minister. Sansom sets his adventure in 1952 when Britain has been subjected to Nazi rule for 12 years. Some aspects of life have changed – Lyon’s Corner Houses have been rebranded for example to remove vestiges of their Jewish origins, an enormous picture of Hitler hangs in the lobby of the National Portrait Gallery and critics of the regime such as W.H. Auden and E.M. Forster, have been silenced. Though Britain is not an occupied country, the Gestapo and the SS are evident, working closely with Special Branch and the new Auxiliary Police to rout out members of the growing Resistance movement led by Winston Churchill. Sansom doesn’t tiptoe around the fact that there is a considerable level of anti-Semitism in the country though the moderates are distressed when British Jews are rounded up in preparation it is believed for deportation to German camps. It’s a very credible scenario due largely to Sansom’s credentials as a trained historian – he meticulously documents his extensive research at the back of the novel with his bibliography detailing all the books which have influenced the final novel. The result is as believable as the world of the Tudor monarchy he created for his Shardlake series of historical crime fiction. But Dominion isn’t purely an alternative history novel; it’s a thriller based on that old chestnut of a man with a secret who is on the run from various factions who either want him silenced or want the secret for themselves. The man on the run in Dominion is an unlikely hero figure – an unassuming geologist by the name of Frank Muncaster who is incarcerated in a mental asylum near Birmingham after learning a secret that the Germans and Americans dearly want because it will give them the edge in the race for a nuclear weapon. The Resistance deploys their extensive network of resources to spring him from the asylum, and get him to the east coast for a rendezvous with an American submarine. One of Frank’s university friends, David Fitzgerald, a civil servant acting as a spy for the Resistance, is despatched in a race against time. Will he save Frank before the Gestapo’s ace man-hunter Sturmbannfuhrer Gunther Hothform reaches him? Whenever a party tells you national identity matters more than anything else in politics, that nationalism can sort out all the other problems, then watch out, because you’re on a road that can end with fascism. That Sansom is using Dominion to make a political point becomes ever more evident and is reinforced by his historical note at the end of the novel. In it he expresses deep concern about the growth of nationalist parties like UKIP and the Scottish Nationalist Party (SNP). The SNP is, in his view, a threat to all of Britain with their tendency to shift political ground in favour of whatever policies will bring independence regardless of the consequences. He was writing of course on the eve of the 2016 Scottish Referendum but makes no secret of his own views on how the Scottish population should vote. If this book can persuade even one person of the dangers of nationalist politics in Scotland as in the rest of Europe, and vote ‘no’ in the referendum … it will have made the whole labour worthwhile. The Book: Dominion by C. J Sansom was published by Mantle in 2012. My edition is a paperback from 2013. The Author: Christopher John Sansom hails from Scotland. He read history at Birmingham university and, after a PhD thesis on the British Labour party’s policy towards South Africa between the wars, left academia for a career in the law. His first novel – Dissolution which introduced the hunchback detective Shardlake – was published in 2003. Why I read this book: I’ve read and enjoyed four of the Shardlake novels and knew this was an author who could be relied upon to bring the past to life. I was curious whether he could be as effective when portraying the twentieth century as he has been with the sixteenth. My reviews of Sovereign, Dissolution, Dark Fire and Lamentation can be viewed by clicking the links. The Broke and Brookish this week is looking for suggestions for book club reading. This wouldn’t be an easy one for me since our book club has rather wide ranging tastes – each person chooses a book so it reflects their taste rather than necessarily what the club as a whole likes. We went down the path of chick lit for a while turned me off but I’ve been introduced to some new authors in other month so it’s almost balanced out. For me a good book club read is one that has plenty of issues and dimensions that can lead to a good discussion – I want more than someone saying “I picked this because I thought it would be fun” and that’s all they can say about the book (believe me it has happened). The book choice doesn’t have to be particularly weighty but something to at least get your teeth into. I’ve gone for a mixture of styles, subjects and country of origin of the author (too many book clubs seem to focus only on Western literature). The Many by Wyl Menmuir reviewed here. A Booker long listed title from 2016 that I thought superb. It keeps you guessing about what the main message is. Those are just some of the books I’d suggest. What would your recommendations be? 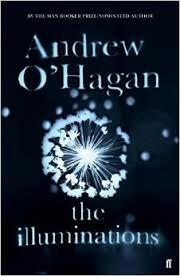 The secrets we keep from each other but often even from ourselves: caught in their protective web of deception the cast of characters in Andrew O’Hagan’s The Illuminations are people who find varying levels of enlightenment. Octogenarian Anne Quirk is one of the deceivers. In a sheltered home in Scotland, she is succumbing to dementia, deemed unsafe to cook for herself or let anywhere near an electric oven. Under the watchful eye of her kindly neighbour Maureen, Anne’s internal conflict with the past comes to life through disconnected fragments of memories and stacks of photographs. They reveal she was a ground breaking photographer in her younger days whose work “captured a world beyond the obvious.” It’s not until her beloved grandson returns from his tour of duty in Afghanistan and takes her back to a Blackpool guesthouse, that the secrets of Anne’s life are illuminated. Only then does it seem that she can be at peace. As his grandmother tries to remember the long-ago past, Luke is trying to put his own past behind him. He’s returned to Scotland, a disillusioned young man whose army career is over as a result of a catastrophic episode when he was part of a convoy in Helmand province. Through some fast-paced chapters set in Afghanistation it becomes clear that the episode represented an epiphany for Luke; the moment he acknowledged to himself that he had joined the army purely to find the kind of man he hoped his father, who died serving his country, had been. For years he’d buried this knowledge beneath a cloak of camaraderie with the men under his command, smoking marijuana and listening to heavy metal while they patrolled the desert for booby traps. But the increasingly erratic behaviour of his commanding officer strips him of his illusions. Not all the characters in O’Hagan’s novel encounter anything comparable to the illuminating moments that Luke and Anne experience. Maureen for example is clearly a woman who’s concocted a deceit about her relationship with her children. She regularly boasts about her children and and how much success they’ve made of their lives (blithely ignoring the fact that one of them is an alcoholic). She regularly complains that they are always too busy to visit her — yet when they do, she clearly can’t stand them and cannot wait for them to leave. The slow paced contemplative sections of the novel contrast with the sections on the front line which blaze with action and vivid dialogue. O’Hagan seems very comfortable handling both the very male world of the army with its obscenity laden, swaggering dialogue and the domestic rituals of the women in the home. He effortlessly moves from the small and often humorous observation: “It was a constant battle in Maureen’s head, the wonder of central heating versus the benefit of fresh air…” to bigger issues of the ethics of foreign military intervention or the fractured parent/child relationship. He also deals sensitively, though not sentimentally, with Anne’s dementia describing it not as the shutting down of a life but the re-awakening of an old one. Anne’s estranged daughter Alice tells her doctor she wishes she could spend half an hour with her mother as a young woman. “She hasn’t gone,” he whispered. “Quite the opposite. She’s coming back. And maybe you could prepare to meet her half-way. Between the person she is now Andy the person she used to be. This ability to flex between the macro and the microcosm could be one of the reasons the judges of the Man Booker Prize chose it for the 2015 longlist. Will it make it to the final accolade or will this be third time unlucky for O’Hagan? My sense is it’s not the winner. The sections dealing with Anne are well observed but not remarkable so the strength of the novel really rests on the Afghanistan chapters. Without those for me this would have been an Ok novel but with them it’s one that’s well worth reading. The Illuminations is published by Faber. Andrew O’Hagan is a Scottish novelist, non-fiction author and an editor of Esquire and the London Review of Books. He currently works as a a creative writing fellow at King’s College London. I blame the people who run our public library service. They’ve made it too darn easy to reserve books on line. Don’t they know there are members like me who just can’t stop themselves acquiring books? It’s really not my fault that I am faced with a glut of books and only a few weeks in which to read them because we go on holiday in three weeks and I don’t want to lug hard cover books around with me in Germany. It surely couldn’t have been me that went into the reservation system the day the Man Booker Prize longlist was announced on Wednesday and clicked on three titles that were already available. Just as it wasn’t me a few weeks ago who did something similar on the night the Jerwood Fiction Uncovered Prize was announced. Sometime you can wait months for a reserved book to become available (I often forget I’ve even requested some of the books) but yesterday I dropped into the local branch to say farewell to one of the librarians. When she handed me three books that had just arrived, she burst into giggles at the horrified look on my face. I left, trying to work out how I was going to get through them and concluding one of them would probably have to be returned unopened. Just as I was getting into the car she came running up to me; she’d found another one that I’d reserved. And a fourth is a novel that I requested about two months ago The Snow Kimono by Mark Henshaw. All of these are calling out to me but I had to make a start somewhere. Since O’Hagan was on the top that became the one I started yesterday. It’s such a well written novel about two characters; one an elderly lady who is trying to remember her life when she was a photographer of note and her grandson who is trying to forget his time as a soldier in Afghanistan. O’Hagan is as insightful when he is portraying life in a care home and the onset of dementia as when he is portraying life on the front line in Helmand province and the mental disintegration of a career solider. It’s one of those novels that you just have to keep reading, reading, reading. If you want go get a taste of this novel there is an extract in The Daily Telegraph from one of the Afghanistan sections. I admit defeat. I am clearly not skilled in the art of book prize predictions. When the Man Booker prize judges announced their 2015 longlist today I found that none of the titles that came up in my crystal ball yesterday made the cut. Not one. I had floated briefly with nominating one of the titles that did get chosen: A Little Life by Hanya Yanagihara. Not that I’ve read it yet (I’m planning to take it with me on holiday in a few weeks) but it has been getting a lot of exposure recently and sounded like the kind of novel the judges would choose. My reactions to the list are rather mixed. On the plus side I was relieved that Kazuo Ishiguro and Kate Atkinson were not listed but disappointed that Colm Tóibín didnt get get selected. On the plus side I’m delighted that the list contains so many authors that are new to me. But the diversity seems to have dissipated. Last year there were no long listed titles from the Commonwealth countries but five from USA. This year we have five USA authors again but only one each from Jamaica, New Zealand and India. The Year of the Runaways (Picador) by Sunjeev Sahota, born in Derbyshire, UK. Im not sure I’ll get to read many of these before the shortlist is announced on October 13. My interest is leading towards The Year of the Runaways, The Illuminations and The Fishermen. Day 1 of November 2014 and it’s time to take a snapshot of what I’m reading, listening to and watching. 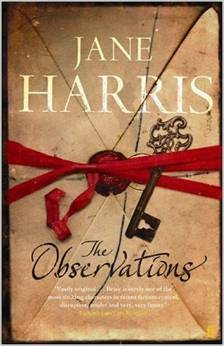 I started reading The Observations by Jane Harris today, a copy of which has lingered on my TBR for more than a year. It’s a very readable historical mystery novel set in a remote manor house in Scotland. Such a contrast to the book I just finished reading, Burnt Shadows by Kamila Shamsie which opens on the day a bomb falls onto Nagasaki. Hiroko Tanaka, a young factory worker survives the attack but will forever bear the scars on her back resembling birds in flight. We follow her subsequent history in India on the brink of partition to Pakistan and ultimately New York in the aftermath of the September 11 attack. It’s a well crafted novel about allegiance and estrangement, betrayal and atonement. I’d not heard of the author but liked the idea of the plot when I saw the book at a library sale. Also purchased in the sale was an audio version of Rebecca’s Tale, a 2001 novel by Sally Beauman which is a sequel to Daphne du Maurier’s Rebecca. I have mixed feelings about the trend now to write prequels and sequels to successful novels by authors long since dead. Often it seems to me they are trying to cash in on a past success instead of coming up with their own ideas. But this novel was approved by the Daphne du Maurier estate so I thought I’d give it a go. It’s a bit slow so far. Since I am writing this while returning to the UK from China, my viewing options are limited to the options provided on the in-flight entertainment system. These have become so much better in recent years – remember the days when you had to crane your neck to see the tiny screen suspended from the ceiling and everyone had to watch the same film? Now most of the main carriers provide seat back systems with many options. Sadly, by the time I eliminated all the science fiction choices and the films which involve people chasing each other in cars or with machine guns, the options were rather limited. I ended up watching The Fault in Our Stars based on the novel of the same name by John Green ( a book I have not read). I was prepared for this to be a weepy, given its subject matter of two teenagers who are fighting cancer. I’m not sure whether it is the effect of being at altitude but I find I get much more emotional when I’m watching a film during a flight. Luckily the lights were dimmed so no-one saw the resultant blotchy face. It had some stellar performances from the actors playing the teenagers, particularly Shailene Diann Woodley as Hazel Grace Lancaster. I also enjoyed the cameo performance by Willem Dafoe as the jaundiced author Peter van Houten. The weakest performance of all was by Laura Dern as Hazel’s mother. She played this role exactly as she played the botanist in Jurassic Park, which is to say, badly.